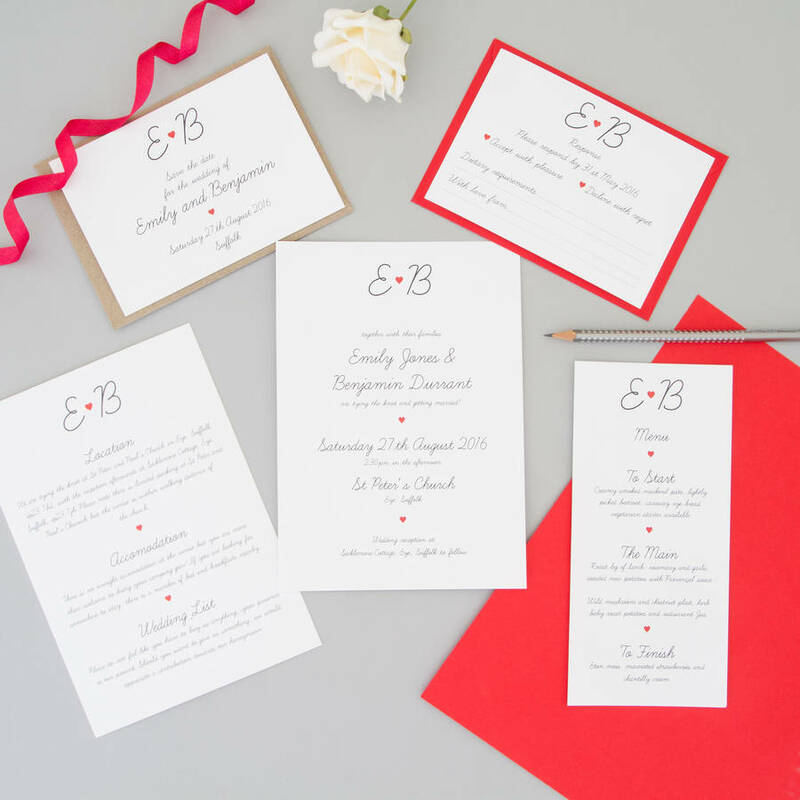 This wedding invitation set features a red heart monogram with soft flowing writing. Please choose a sample from the dropdown menu. You will be sent a sample with your chosen colour envelope. Please add 2 samples to your basket if you would like both colours. Your samples will be sent to you by Royal Mail First Class Post 2-5 business days from order. These samples will not be personalised to you. Please select the items you require, enter the quantity and add to the basket. Once your order has been completed, you will receive a form in which to complete the details of your wedding. When we have received this information back, we will design your invitations for you and send you a proof to check. Your stationery will not be sent to print until you have fully approved all the artwork. Once approved, no changes can be made. 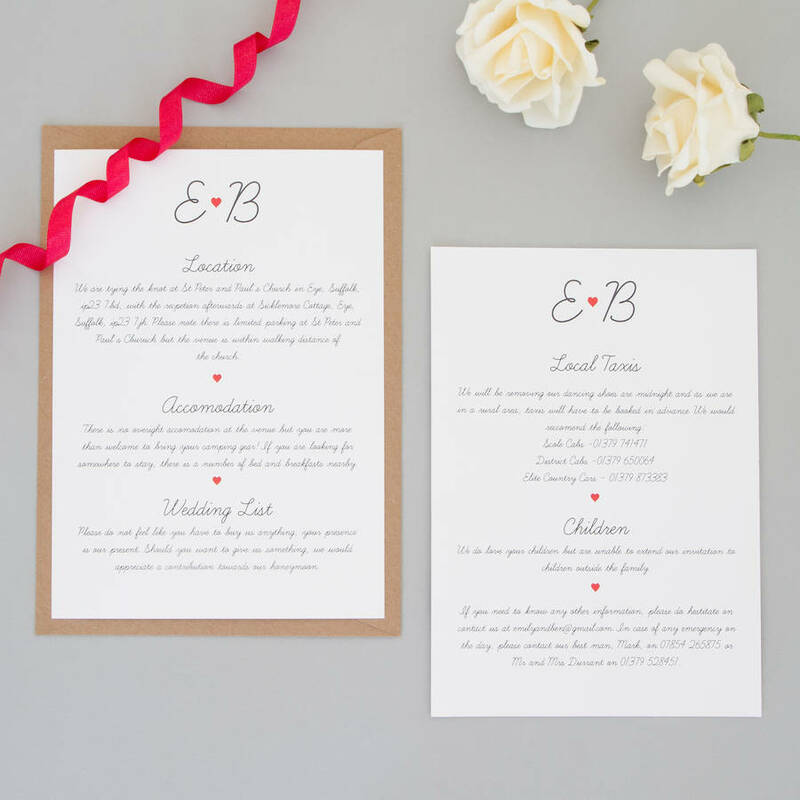 Your invitations will arrive sorted into invitations, information cards and RSVPs for you to bundle up for your guests. All invitations come with a C5 kraft brown or poppy red envelope. All RSVPs come with a C6 envelope printed with your address, unless you have chosen to include the address on the reverse of the RSVP. Information cards do not come with any envelopes. 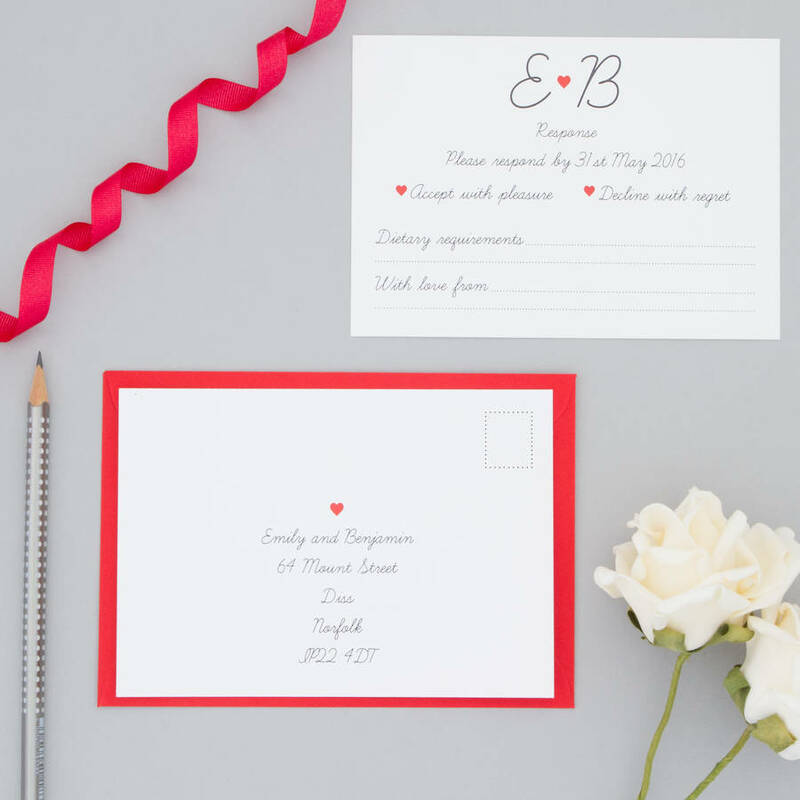 All stationery is printed on 280gsm textured card and are suppled with a recycled kraft brown envelope. The sample will be sent by Royal First Class delivery 2-5 working days from order. 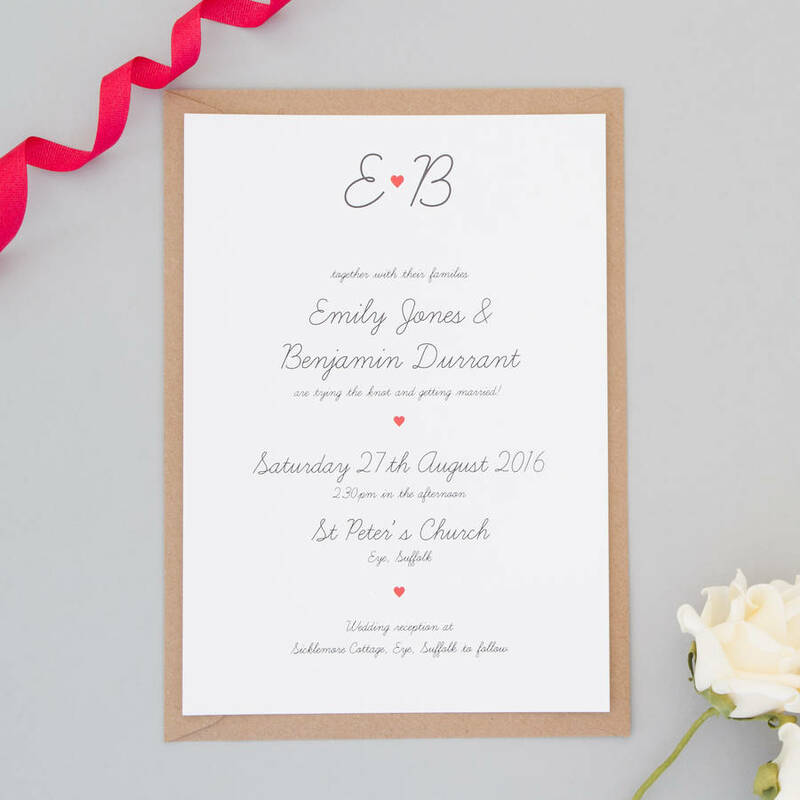 Please allow up to 3 weeks from order for your invitation set.